Nutrition plays a significant role in advancing health equity. Studies have shown that when people adopt a more Westernized diet, their susceptibility to health problems increases. Reclaiming traditional cultural cuisines and adopting a healthy eating pattern such as The African Heritage Diet and those highlighted in the DGAs can play a crucial role in bridging the health equity gap in African Americans. This webinar will provide RDNs a new solution-oriented perspective and pathway to transforming the health of populations of African descent, by helping them to better understand what a "healthy diet" is and celebrating the eating patterns and foods of their heritage. Barriers to health in African Americans, as well as effective communication and culinary tools to address these barriers, will be discussed. Describe the prevalence of diet-related chronic diseases in African Americans and identify barriers to achieving better health and nutrition outcomes in people of African heritage. Classify healthful foods from across the African diaspora that make up African Heritage Diets. Reframe nutrition education programming in a way that is culturally relevant to participants. An award-winning registered dietitian, certified diabetes educator, and former spokesperson for the Academy of Nutrition and Dietetics, Constance Brown-Riggs is the author of the Diabetes Guide to Enjoying Foods of the World; The African American Guide to Living Well With Diabetes, which received the Favorably Reviewed designation from the American Association of Diabetes Educators; and Eating Soulfully and Healthfully with Diabetes. 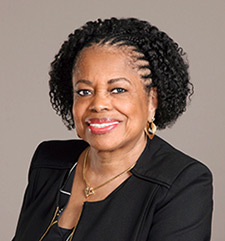 Over the course of her career, Constance has established herself as an expert in nutrition, diabetes, and the cultural issues that impact the health and health care of people of color. Her work has appeared in books for health professionals and health care consumers, and she has been a featured expert in national magazines such as Essence, Real Health, Diabetic Living, and Diabetes Forecast. She also is a regular contributor to Today's Dietitian, also serving on the magazine's advisory board, and to BlackDoctor.org. You can follow Constance on Instagram, Facebook, and Twitter. Constance Brown-Riggs, MSEd, RD, CDE, CDN, reports the following relevant disclosures: consultant to OldwaysPT; honoraria from OldwaysPT. She has certified that no conflict of interest exists for this program. View our disclosure policy.